The next Scandinavian mythology based movie is the Swedish Huldra: Lady of the forest, based on the same creature as seen in Thale. From director Ove Valeskog comes Huldra: Lady of the forest, a Swedish psychological fantasy thriller set the forests of Northern Sweden. The film is produced independently by Tribespider, Valeskog’s audio-video production company. The film tells the story of Nanna, who lives a lonely and regimented life in Berlin. When her life crashes she receives a phone call from her long lost love, Martin, who reminds her of their carefree childhood. Martin wants her to join him for a hike in the wilderness together with some of their mutual childhood friends. 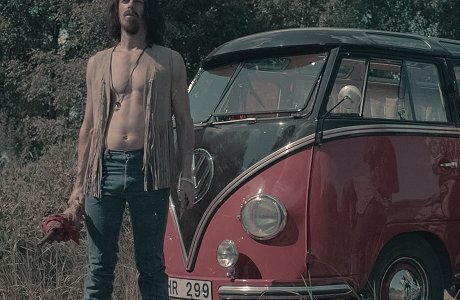 One of them, Peter, has been told of a strange hermitic hippie-like society out in the Swedish wilderness, and the group sets off on an adventure unaware of the fact that once they reach their destination nothing will ever be the same again. As they are drawn deeper and deeper into the forest, mysterious events start to unsettle the dynamics of the group. Reality begins to shift in ways none of them could have imagined and relations between the friends become strained and volatile. 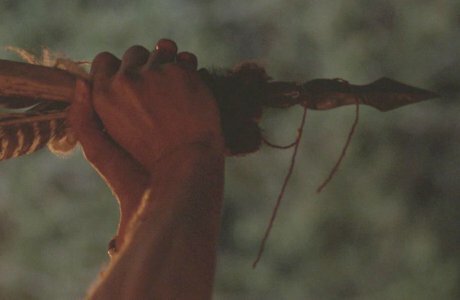 The fantasy element in the film is the hulder, a female forest spirit embodied in a beautiful woman that the hermit hippie Harald refers to as his daughter Gerda. However, Harald is dying and his earthly creature is breaking down from the hard life of a lonely and twisted narcissist. A replacement needs to be found, hence his sinister plan for the group. But who will the hulder choose as her new companion? Hulders have been part of Nordic mythology for centuries, and was recently depicted in the Norwegian fantasy thriller Thale (2012). 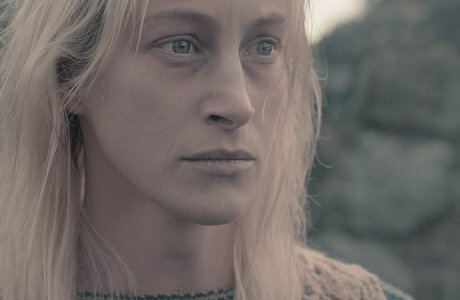 But, just like trolls and goblins and demons, hulders have more than one tale in them, and Huldra: Lady of the forest is only the second Nordic film in modern times to feature the creature. And why the hulder, of all the creatures, spirits and legends that are alive in Swedish and Nordic mythology? Valeskog said this to FromBeyond: -The hulder has very interesting symbolic values taken from the more lustfilled side of humans. She is beautiful as sin itself but she also has a dark side, in more than one meaning. Her back has a hole which can be interpreted as the entrance to eternity, and the one who sees the hole is forever lost. She’s also often hiding a tail which testifies her nonhuman figure. The specific idea came when Valeskog was out jogging in a creepy forest. He was struck by the idea of meeting a hulder, and before he finished his trip, the story had entered his mind. -Nobody had previously made a movie about the hulder. She had [made brief visits] but never had a whole movie [to herself]. And as I wrote the script, I realized why she had evaded the screen. Giving her a voice would have destroyed the magic, he said to FromBeyond. Valeskog decided to create the hulder as bait for men, wheeling them in like fish and when he tries to take her, the man is pulled out of reality and becomes a host for the hulder’s needs. He also wanted to explore a gender aspect; if the prey is male, what happens to the female creature? Ove Valeskog, a multimedia producer who has worked on commercials, TV and music videos, made in 2007 the short film Huldra, which served as the background story for the feature film. The short film was also a pilot for the longer film, which is Valeskog’s first feature film. Movies he thinks may have influenced Huldra include Deliverance, Jacobs Ladder, Pan’s Labyrith, Fear and Loathing in Las Vegas and The Shining, but it is also worth noting that several mythology based horror or fantasy movies are emerging from the Nordic region right now. Dubbed “Nordic twiligt”, the trend started with Let the right one in (2008) and has been stable with movies such as Troll Hunter (2010), Rare Exports (2010) and Utburd (2014). The timing of Huldra seems to be perfect! The mainly English-language film, whose funds come partially from an Indiegogo compaign last year, stars Rebecca Labbe, David Bateson (from the game Hitman), Alexandra Klim, Viktor Åkerblom, Cedomir Djordjevic (Snabba Cash) David Leon, Victor von Chirach, Nikola Russic, Fredrik Wagner, Hans Müller, Joakim Thelin, Sofia Brattwall, Natalie Söderqvist, and Pernilla Eriksson. Release and distribution is unclear at the moment.